Arcade Belgium - News (en): 2016-11-24 - Dream Festival! Dream Festival! is a Data Carddass game that is out in Japan today. Dream Festival! 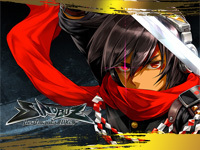 is a multimedia project from Bandai Namco including an animated series, CD, shows, smartphones apps, cards,... This licence is targeted to a feminine audience. The story is about Kanade Amamiya, a second year high school student and his friends Shin Oikawa, Junya Sasaki, Itsuki Katagiri & Chizuru Sawamura. 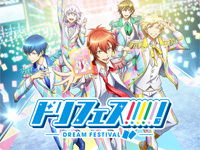 They participate to the Dream Festival, a first step to become singers. During the festival, fans come with Dream Cards that they use to support their favourite singer to unlock him new outfits and offer additional stage performing. The new title in the Monster Hunter Spirits series is available in Japan today. Capcom and Marvelous offer a new version of the game featuring new monsters, new cards, new stages and new combo skills. 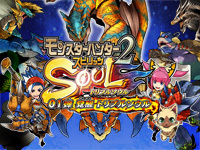 All players data from the previous version are compatible with Monster Hunter Spirits 2: Triple Soul. The game also features interaction with the 3DS game Monster Hunter Stories. In November, 7 quests for Monster Hunter Stories will be gradually unlocked to get special rewards (objects, Otomon,...). To get those quests, players must go to a game center where they can play to Monster Hunter Spirits 2 with their Nintendo 3DS. You can watch Monster Hunter Spirits 2: Triple Soul trailer here. We already knew that Sega would bring Target Bravo: Operation G.H.O.S.T. and Let's Go Island Dream Edition at IAAPA Attractions Expo 2016. But Sega still had to unveil their flagship title and this is done with Daytona 3 Championship USA! 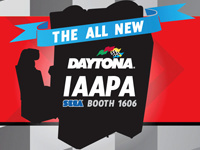 The game will include three remastered circuits from the original Daytona USA and 3 new tracks including the modern version of Daytona International Speedway. There will be new cars and new game modes and a live camera system displaying players faces in the game. Good news: developers used the original engine as a base (especially for AI and slipstream management), that should reassure the players who are afraid of ending up with a game lacking in arcade sensations as that was the case with the last Western Sega racing games. As Patrick Michael, head of R&D says: "How could we improve the best?". Another dispelled point of concern: music will be composed by Takenobu Mitsuyoshi. No photo of the cabinet has surfaced yet but we already know that it will feature a 47" LED screen and a topper sporting a 27" screen displaying what's happening in the race "Live TV" style. The machine will be fully lit with LEDs and the bottom of the seat will be moulded after a car engine. Like the previous games (dismissing Sega Racing Classic), a network of up to 8 players will be supported! Operators will enjoy a party mode to organize special events and Sega-IQ intelligent menus in the service mode. Will Daytona 3 live up to the expectations that such a name implies? See it for yourself at the IAAPA Attractions Expo in Orlando on November 15! Konami's beatmania series success is still big and going on with the release of beatmania IIDX 24 SINOBUZ today. As usual, this new episode is accompanied by a new visual theme. This time, this is the Ninjas. For the first time in the series, the visuals and the BMG change according to the day of the week. On the game side, there are a few new features: the "Ninja Rank" to evaluate the players skills and the "teacher-student" system. It works as a link between two players and they get rewards when their relationship evolves. On October 21, Sega announced a new RPG game for smartphone: Soul Reverse Zero. It will be available on IOS and Android in November but it will be released on another platform as well. The game is developed by AM2. It's the first product in the Soul Reverse series, an original licence that Sega plans to develop. The story sees the main hero having to summon heroes from other dimensions to help save his world from destruction. At least 60 heroes such as King Arthur, Oda Nobunaga and Cleopatra will be available. Each hero will have skills with different effects. The animation is produced by Production I.G. 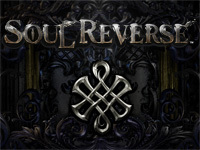 On October 25, Sega revealed that Soul Reverse will also be available in arcades! The main theme song can be listened to on the website that just opened. 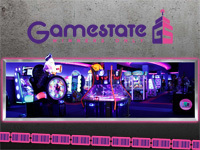 A new Gamestate arcade opens in the Netherlands tonight! This new game center is located in Rotterdam (Cor Kieboomplein, 109) near the Feyenoord stadium. A Gamestate arcade already opened in Kerkrade in 2013 and a third one will open in 2017 in Utrecht! This is a proof that arcades can survive in Europe. The concept is similar to the arcades in the USA: offering an experience that focuses on "Family Entertainment" for all audiences and ages will all kind of games: token machines, redemption games and of course arcade games. Emphasis is placed on the loyalty of customers since the players win tickets thanks to the score they do at the end of a game. Then, they can exchange them for prizes. Gamestate Rotterdam provides 100 games to enjoy! Of course, there are a lot of pushers but you can play good recent redemption games like Crossy Road Arcade, Flying Tickets, Harpoon Lagoon, Candy Crush Saga Arcade, Deal or no Deal?, Ghostbusters, Pink Panther Jewel Heist, Fruit Ninja FX,... Arcade games are also well represented with great titles such as Mario Kart Arcade GP DX, Time Crisis 5 and Star Wars Battle Pod. You can also play Batman, MotoGP, Jurassic Park Arcade, Aliens Armageddon, Pac-Man Battle Royale and the simulator Typhoon. Pinball fans can play Star Trek and Kiss. If you are near Rotterdam today, don't miss the opening evening party at 20:30! Thanks to our friends at Funtime Arena for the information. The Flanders Expo (Ghent) will be the place to be this week-end for all sci-fi, comics, anime and cosplay fans! 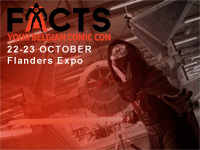 FACTS, the Belgian Comic Con will be held from Saturday 22 (10:00 to 19:00) to Sunday 23(10:00 to 17:00) October. This year, all the halls of the Flanders Expo will be used. As every year, famous actors will be present. Visitors can meet David Hasselhoff, Sean Astin, Sylvester McCoy, Erika Eleniak, Kristin Bauer and many others in hall 4. Many artists will also be present: Alvaro Martinez Bueno, Lucio Parrillo, Stephen B. Scott, Jérôme Alquié,... Visitors will have a lot of things to see and to do during the two days: cosplay contests, fan village, workshops, guests, shopping, ... and even speed dates. Hall 2 will be fully dedicated to gaming with many stands where visitors can try the latest titles from big publishers and play retro games... Arcade Belgium will occupy booth 217 with 20 arcade machines set on freeplay including all time classics such as Time Crisis II, OutRun2 SP, DoDonPachi Daioujou Tamashii, Strider Hiryu 2, Puyo Puyo Fever, The Simpsons, Teenage Muntant Hero Turtles - Turles in Time, Hyper Street Fighter II, etc... We'll organize two free tournaments: a Spawn - In the Demon's Hand 4-player battle royal on Saturday and a Garou - Mark of the Wolves tourney on Sunday. Registration at 13:30 and tournaments at 14:00. 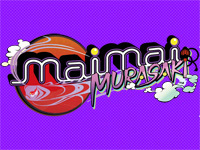 Sega announced the first location test of maimai MURASAKI. It will start on October 21 in three game centers: Club Sega Shinjuku Nishiguchi, Club Sega Akihabara and Sega GiGO Ikebukuro. After the pink color, Sega chooses purple for the next title in the maimai series. More info about the new features and changes will come later. 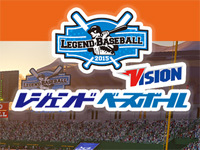 Capcom starts today a location test of a new arcade game: Legend Baseball. It's a realistic simulator machine featuring a pitching machine. The player stands in front of a big screen where a virtual pitcher throws a ball. A real ball leaves a hole below the screen and the player must hit it. Thanks to sensors, the game analyses his shot (speed, direction,...) and reproduces the move on the screen. The location test is held at the Game Land Chiharadai shop (Chiba). Good and bad news: Arcade Street, the famous amusement arcade in Paris, will not close its doors on October 10 as we announced on September 1st, that's the good news. The bad news is that the closure is not canceled but only postponed for a few days since the arcade will close permanently on Thursday, October 20th. Accordingly, schedules change from October 10 on; the doors will be open from Monday to Saturday between 17:00 and 22:00. With its underground atmosphere and its urban decoration, this arcade had become a hangout spot for all fans of arcade games whatever their favourite genre is. 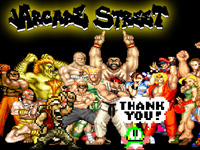 Arcade Street features many fighting games, shooting games and beat'em up's as well as uncommon machines such as Darius Burst Another Chronicle EX, pop'n music 19 Tune Street and DanceDanceRevolution X. We will remember the hectic atmosphere at Street Fighter and Windjammers tournaments. Arcade Street is also well-known for operating exclusive games in France like The King of Fighters XIII Climax, BlazBlue Continuum Shift II and Virtua Fighter 5 Final Showdown. After 6 years of existence, the lease contract has come to an end and the team wants to continue its mission differently (we have no details yet except that it shall be arcade related but won't be another arcade). So this is not a "goodbye" but rather a "see you later". Anyway, many thanks to Anatole, Abou and Nicolas for all those years of happiness. What you have accomplished is impressive and we wish you a lot of success for the rest of your adventures. See you soon! Come on guys, there are still two weeks to go to have fun one last time!